DIY Deadpool Headphone Holder Makes Quips #ArduinoMonday « Adafruit Industries – Makers, hackers, artists, designers and engineers! My daughter Julia is a huge fan of Marvel and DC superhero movies and TV shows. 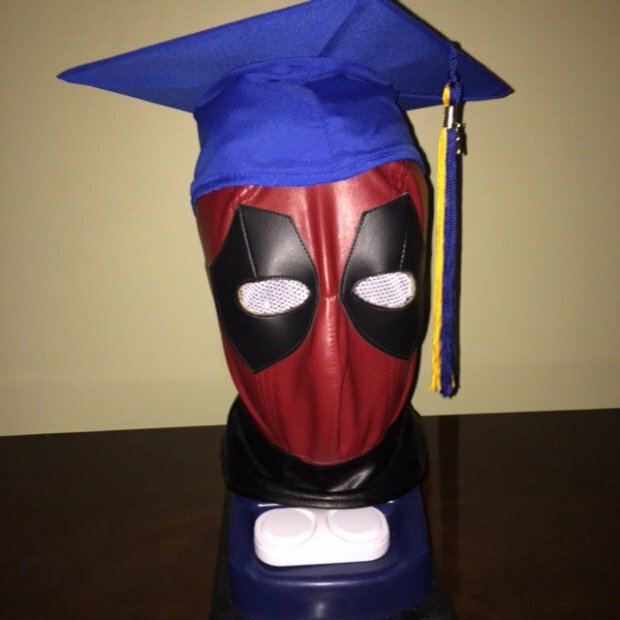 I decided she needed a stylish place to store [her new wireless headphones] when not in use so… one hollow mannequin head (eBay), leather mask (eBay), Adafruit sound FX and amplifier boards, an Arduino, and LEDs and you get….The Animated Deadpool Headphone holder.